The Fish DownSea Party Skirt is meant to add eyes, color and flash to the presentation of your circle hook ballyhoo when trolling for pelagic species such as marlin, tuna and dolphin. This is an effective way to add the a 'sea witch' to a circle hook bait without impeding the hookup ratio due to the rubber grommet (o-ring) attachment. 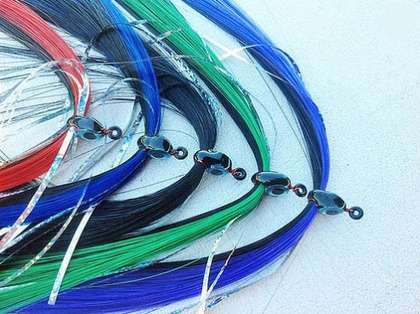 This also works well when added to hook baits for flounder, stripers, and more. This particular Party Skirt package gives you a solid sample of 5 dark color Party Skirts in Black, Black/Purple, Black/Red, Black/Green, and Black/Blue. The Party Skirt has a rubber grommet (O-Ring) that easily slides onto your hook and stays there. 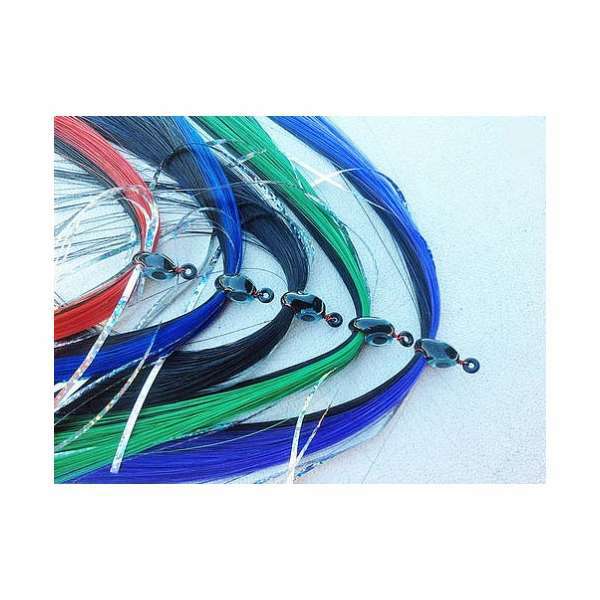 For bait applications (like with strip baits or ballyhoo) slide the bait onto your hook first, then slide the Party Skirt onto your hook and wa-la, you have a bait rigged with a Party Skirt on it ready to catch fish. 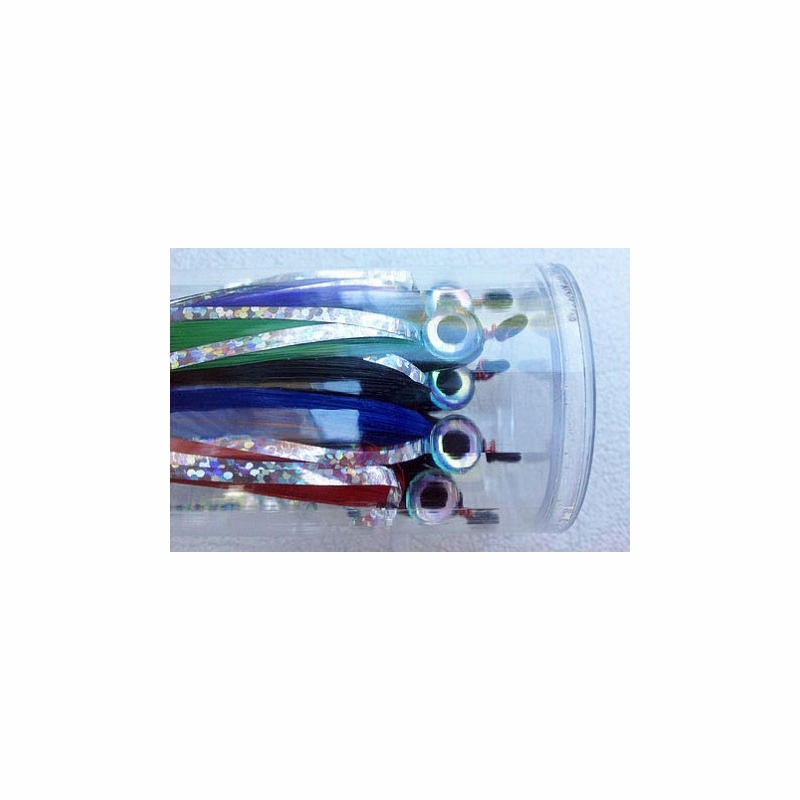 Although this lure was specifically designed for using on circle hook ballyhoo, we have some to find the limitless use for these lures and their effectiveness on other species such as flounder, striped bass, largemouth bass, and the list goes on. The epoxy head helps keep the bait juts up off the bottom for flounder fishing which helps keep the bait visible to bottom fish.